Their music soon stirred the curiosity of Tomasz Stańko, the legendary Polish trumpet player. In the late 1990s, Stańko was searching for a new quartet squad, one that would allow him to pursue the kind of work he did with Bobo Stenson, Anders Jormin and Tony Oxley. The encounter with Tomasz Stańko turned out to be a turning point in the trio’s career. Stańko was quoted as saying that „In the entire history of Polish jazz there was no group like this one”. The cooperation with Tomasz Stańko was officially launched between 1999 and 2000, and it was preceeded by occasional concert collaboration between Stańko and Wasilewski. The Simple Acoustic Trio had gained a mentor in Stańko and cooperated with him as a working band. This cooperation soon lead to recording with one of the world’s leading labels, the Munich-based ECM. Together with Stańko they recorded three albums with the ECM: Soul of Things (2002), Suspended Night (2004) and Lontano (2006). They also made three concert tours across the US, performing in some of America’s best jazz stages: Blues Alley in Washington, Merkin Hall and Birdland in New York. Stańko and the trio also played at the San Fransisco Jazz Festival and the Earshot Jazz Festival in Seattle. Although the musicians were very actively engaged in making music together, and their career was gaining speed, the actual name Simple Acoustic Trio was less and less heard of. The last album they recorded under the old name was Habanera, released by the Not Two Records label in Kraków in May, 2000. The musicians would return to the stage as an independent trio five years later, and it was a splendid beginning. The album Trio was once again recorded by ECM and after since its release in 2005, two more albums followed: January (2008), and Faithfull (2011), both of which were also released by ECM. Faithfull gained the status of a double platinum record and it was a huge artistic success. Since their very beginnings, the group has been building its position with numerous prizes, among them the many Fryderk awards of the Polish Music Academy. In 2010, the Marcin Wasilewski Trio also won the annual readers’ poll of the Jazz Forum magazine for the Best Acoustic Formation in Poland, gaining nearly twice as many votes as the Tomasz Stańko quintet. 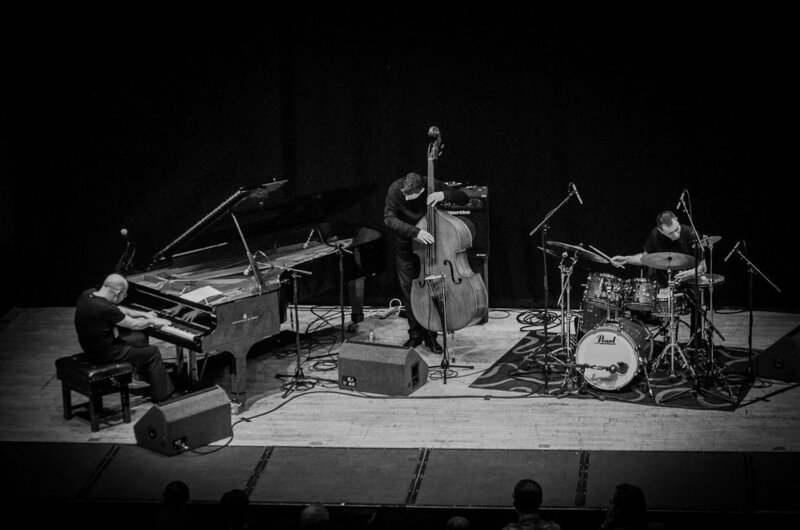 Over the 20 years of their activity on the music scene, Marcin Wasilewski Trio has cooperated with numerours internationally acclaimed musicians both individually and as a band. They performed with Tomasz Szukalski, Piotr Wojtasik, Michał Urbaniak, Janusz Muniak and Henryk Miśkiewicz, and also participated in international projects with stars of the international jazz scene, such as: Dino Saluzzi, Palle Danielson, Jon Christensen, Arild Andersen, Bernt Rosengren, John Surman, Bobo Stenson, Manu Katche, Gianluigi Trovesi, czy Jan Garbarek, Arthur Blythe and Joe Lovano.